This week we meet Susan Detroy, an artist living in Eugene, Oregon. Susan’s artwork has its roots (excuse the pun!) 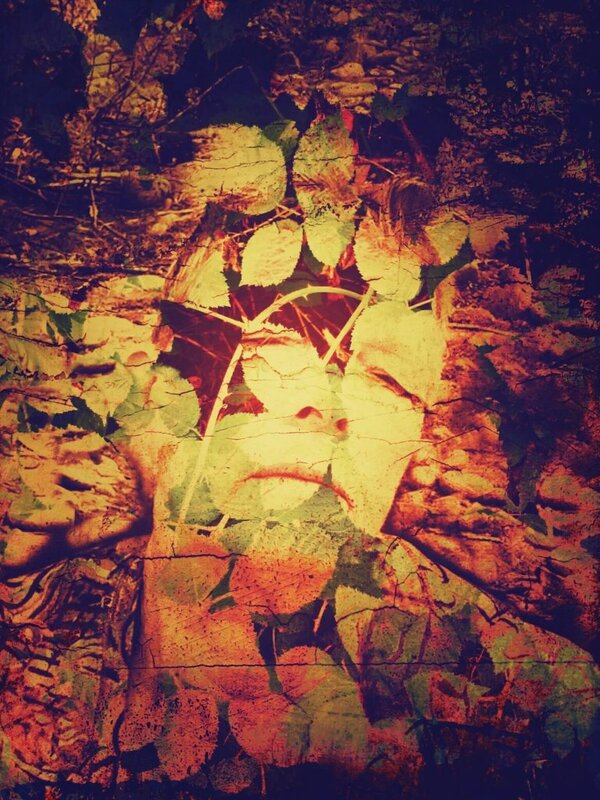 in the natural world; she combines self-portraits with photos she takes of the scenery around her to create spiritual and soulful double-exposure images. Susan grew up in southern Indiana, with times residing in Spain and Mexico. Her career in the arts began in the ’80s when she worked as a freelance photographer. Since then she has been a gallery curator and installation designer, as well as an art instructor and artistic coach. Susan has been creating art all her life; first as a dancer, then as a photographer/filmmaker and since the ’80s, making 2D art. Currently, Susan creates digital and handmade art. 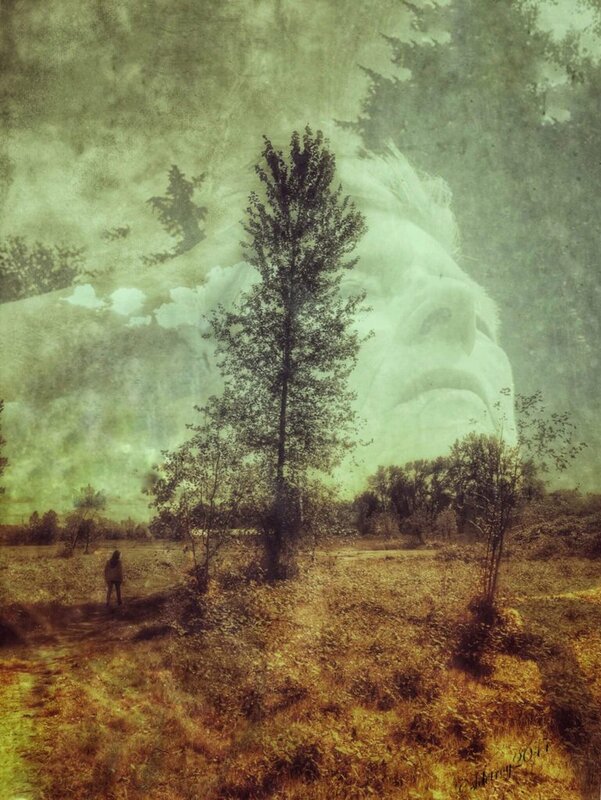 Most of her current artwork employs layering techniques; primarily using the iPhone/iPad with apps and then with her unique methods transfer and printing processes. 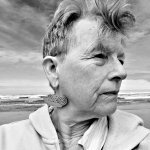 So far, she has created five series of work in the 40 years of art-making: transfer printing, mixed media painting, folkloric ink drawings, infrared photography and digital art. How did you first get into digital art? Initially, I used a Samsung cell phone that had a camera, and I took a fair number of photos with this. Before moving to mobile photography, I worked with large digital cameras; I became tired of lugging around all the equipment. These two factors were the beginning of my wish to do things differently. I went to a workshop with Susan Bein at the local community college. I was out of my mind excited at the time and the spark that happened then held through to the present day. Why did you choose digital art as your medium? Over time I was just unhappy with analogue work and using those giant cameras! Digital slowly made its way into my favour after a lifetime of darkroom developing and printing. Now the choice is one of convenience and expanding opportunity to connect and share. I am devoted to both digital and handmade and am beginning to combine the two: older, hand made pieces modified with newer digital tools. What artistic styles particularly attract you? I am interested in many styles, both in digital and hand-created art. In particular, I look for layered, fanciful, self-portraiture, women-centred, spiritual, natural world, all combined with human love. Inspiration comes through my everyday life, as well as artists I find and follow. I also draw on events in politics and experiences I have that move me to share. What is your artistic motivation? I have to create; it is part of who I am. I can communicate using art concepts, feelings and other concepts that are best when visually expressed. Making art is in my deepest self. Of all your images to date, which is your favourite and why? A difficult question! A favourite image is one I have chosen for my gallery selection named Portrait of a Woman: Rumors of my Sainthood. Which three words or phrases would you use to describe your work? Deeply spiritual, full of feeling and connected to ancient femininity. What interesting responses to your artwork have you had? A woman who saw my work has been following me; she sends me emails about the cards of my work she sends to friends. She tells me my work is like no other she has known. Name three artists who inspire you. Carla Ciuffo, Anne Brigman (just discovered her), Maria Ribeiro (includes adult content). How do you think you’ve improved as an artist compared to when you first started? Oh my gosh, I started as a child, so that is a big question. I’ll respond to the question of digital art. I have a deeper understanding of how to create my work digitally as I feel connected to the media. Digital art gives me a more focused vision of my series; I can be more relaxed about making artwork. What advice would you give yourself if you could go back to when you started making art? Hmmm; create more art and let it be a more significant part of your life. What devices/equipment do you use to create your art? For my digital work, I use an iPhone 6 and an older iPad. Which apps/programs do you use to create your art and which are your favourites? I have many I use, and they tend to go in and out of my favour. Currently, I’m using blending apps including, iColorama, Fused and Union. Snapseed is such a good one. I also use Distressed FX and Formulas. Do you use images from stock sites as well as your own photos and if so, which are your favourites and why? I do not use stock. I sometimes collaborate with other artists, where we use one another’s photos. And finally, do you find that digital art is often dismissed as a valid art form? I don’t think so, not in the digital app-created art world at least. Thank you for sharing your thoughts and artwork with us, Susan! 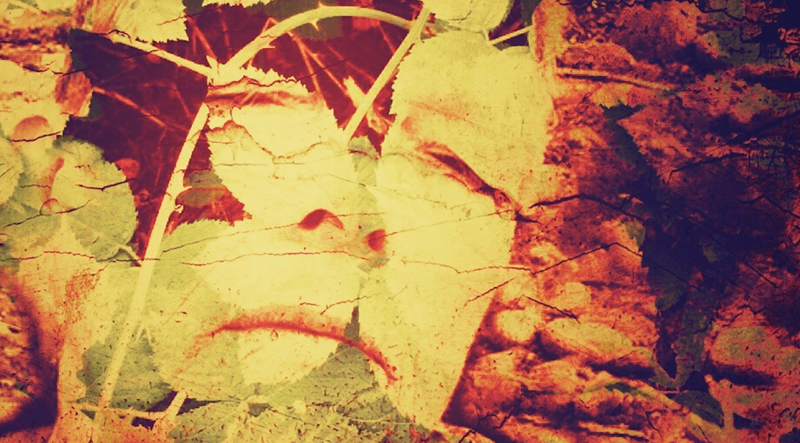 Distressed FX Brings Your Images to Life! Sign up to receive regular updates about our content. We will never misuse your personal information. You can unsubscribe at any time.